This Matchbook review will analyse some of the key aspects of the Matchbook sports exchange. Online since 2005, Matchbook is renowned for being one of the first sports betting exchanges in existence. Their low commissions, some of the best available in the industry, have also shot the company to prominence. Matchbook is offering new customers a current exchange offer of £10 risk-free bet in 2019. That's certainly a competitive deal among UK betting exchanges, so if you fancy taking on peer-to-peer betting, this is a good opportunity to do so. Meanwhile, if you are a casino player, why not get involved in slots, table games or live dealer fun? The current casino welcome offer is: 100% up to £100 + 100 Wager Free Spins. For both of these offers you can enter the bonus code MBMAX when signing up and you'll definitely be eligible. Remember of course that T&Cs apply and you must be aged 18 or over to get involved. We came across a broad range of sports markets during this Matchbook review. Football bettors can wager on anything from the English Premier League and La Liga to the Bundesliga and Serie A, yet those that prefer betting on lesser-known leagues across Asia and South America may be left a little disappointed. Similarly, the tennis markets are generally reserved for the WTA and ATP tours, lacking the Challenger tour betting options that are offered elsewhere. In horse racing, too, place markets are also notably absent, although the spread of racing covered across the UK and Ireland is as impressive as anywhere else. The offering is improved somewhat through a strong mix of US sports markets with MLB, NFL, NHL and NBA, as well as college sports. On top of offering varied US sports markets, Matchbook trumps chief rival Betfair on the value offered across these sports. Given it is baseball season, we honed our focus on MLB markets during this Matchbook review and found Matchbook to be a clear winner in the money line, run line and totals options across several days of MLB action. 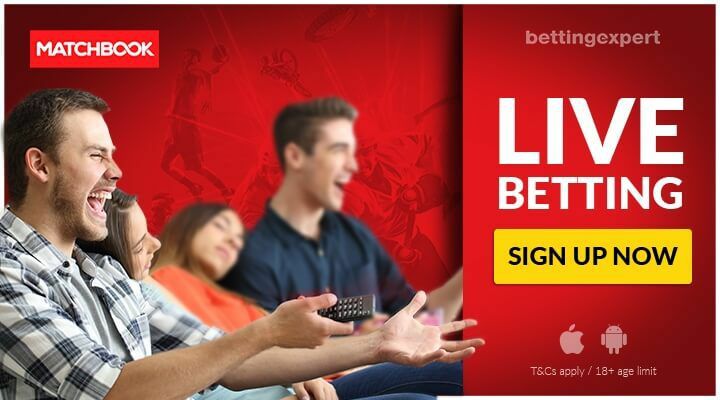 They were equally impressive on markets offered during the NHL and NBA playoffs and also trumped Betfair on numerous football markets, including the UEFA Champions League final, as well as the winner markets for the French Open tennis grand slam. Unlike Betfair, however, Matchbook lacked a special markets category that offers bettors additional value and betting opportunities during major sporting events. Unfortunately, we didn't find the live betting markets to be overly extensive during this Matchbook review. Most of them were centered on French Open tennis, while there was also a notable absence of in-play football betting options from lesser-known leagues. Another area of improvement Matchbook can focus is the categorisation of in-play markets to allow bettors to easily locate their preferred events. Presently, their live betting options are simply listed without any filters. On the plus side, the live odds are presented clearly and their fluctuations are easy to track. Matchbook does not offer live streams of any sports. Whether inclined to bet with an exchange or bookmaker, Matchbook offers one of the best apps available to sports bettors. Available on both iOS and Android, the Matchbook app can also be downloaded on the Apple Watch, an innovative option that allows wagers to be placed with a few taps on the wrist. The smooth and simple functionality of the app makes for quick access to the full range of markets, as well as additional features such as match previews, statistics and bet history. The app is built on a stable platform, which made for efficient and glitch-free betting during our Matchbook review. There were a fairly limited amount of ways to fund our account during this Matchbook review, with Visa and Mastercard credit/debit cards, PaySafeCard, Neteller and Skrill the only options available, all of which came with high minimum deposits. All withdrawals can be processed to the same method that was used to deposit, except for Mastercard due to banking restrictions. While all deposit methods fund accounts instantly, withdrawals can take minutes to process on an e-wallet, and between 2-5 days for credit/debit cards. 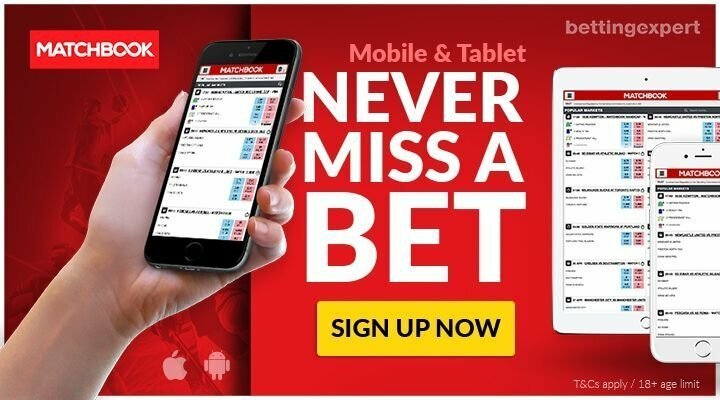 For the most part, withdrawals are free, but Matchbook does enforce varied rollover fees or charge customers if the commission on betting activity fails to cover the deposit and withdrawal transaction costs. A detailed FAQ section, available via the Matchbook website or app, is a great starting point for customers looking to get their queries answered. From there, the full array of contact methods – live chat, phone, email and post – were available to us during our Matchbook review, with phone and live chat particularly efficient. A 24/7 customer support service is not available, which is a let down. While there was notable room for improvement during this Matchbook review, namely across live betting and payment options, there is still plenty of upside to betting on this particular exchange. The commission rates are as low as you will find on any sports exchange, while the mobile betting experience also left a positive impression. If it can fill a few of the gaps in its service offering, Matchbook has a big future ahead.